Recent polls suggest that fewer than 40 per cent of Americans believe in Darwin's theory of evolution, despite it being one of science's best-established findings. More and more parents are refusing to vaccinate their children for fear it causes autism, though this link has been consistently disproved. And about 40 per cent of Americans believe that the threat of global warming is exaggerated, despite near consensus in the scientific community that manmade climate change is real. Why do people believe bunk? And what causes them to embrace such pseudoscientific beliefs and practices? 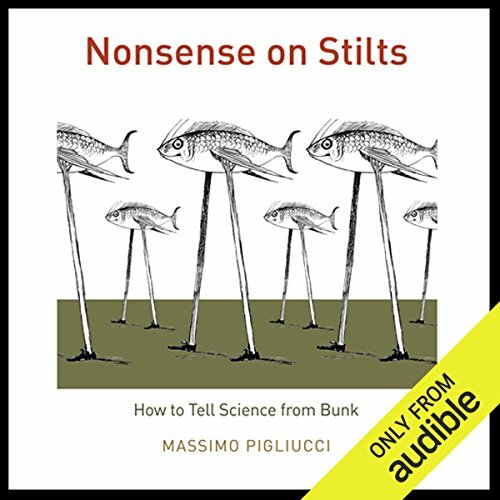 Noted skeptic Massimo Pigliucci sets out to separate the fact from the fantasy in this entertaining exploration of the nature of science, the borderlands of fringe science, and - borrowing a famous phrase from philosopher Jeremy Bentham - the nonsense on stilts. Presenting case studies on a number of controversial topics, Pigliucci cuts through the ambiguity surrounding science to look more closely at how science is conducted, how it is disseminated, how it is interpreted, and what it means to our society. The result is in many ways a "taxonomy of bunk" that explores the intersection of science and culture at large. No one - not the public intellectuals in the culture wars between defenders and detractors of science nor the believers of pseudoscience themselves - is spared Pigliucci's incisive analysis. In the end, Nonsense on Stilts is a timely reminder of the need to maintain a line between expertise and assumption. 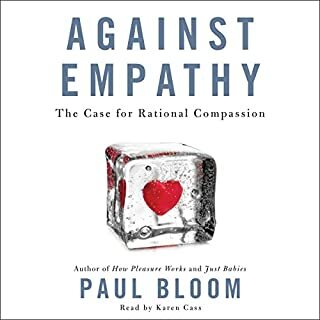 Broad in scope and implication, it is also ultimately a captivating guide for the intelligent citizen who wishes to make up her own mind while navigating the perilous debates that will affect the future of our planet. NOTE: Some editorial changes to the original text have been made with the author’s approval. ©2010 The University of Chicago (P)2010 Audible, Inc.
As for the book itself, I concur with what others have said: a very detailed, compelling, and for the most part well-written account of the boundaries of science (as opposed to pseudoscience and emerging knowledge) with excellent accounts of specific topics like evolution vs intelligent design, various pseudo-scientific claims, etc. The author can be a bit dry or overly-lengthy in places, but that is the exception rather than the rule. Pigliucci does not pull his punches in defence of the scientific consensus on evolution, climate change, etc., which may come off as closed-minded for those who disagree with his stances. As for the narrator... I'm afraid that you'll find a lot better ones on Audible, but for me it wasn't a consistent distraction. Notable mistakes include once saying "physics" rather than "psychics" in Ch. 2, which was actually funny in the context, and mispronouncing the name of well-known figure Noam Chomsky as "Noah Chumsky". It seems like someone should have caught those, but then I don't know much about the editing process that goes into these audiobooks. With that qualification, highly recommended. The most interesting book I have read in a long time. Beginning as a standard de-bunking book, where Pigliucci uses clear-sighted logic to dissect pseudo-scientific ideas, like UFO's, Psi studies, and the Dover, PA Intelligent Design case, he thankfully moves into new territory, saving it from being another Michael Shermer book. Instead, the author uses these cases studies as a spring-board to illustrate the power of science. Slowly, and with increasing resonance, he begins to unveil the unique contribution that philosophy could bring to the understanding and advancement of science. In the process, he takes solid aim at "Scientism," the near religious belief in Atheistic Science as the only thing that produces value--think Richard Dawkins. What I really enjoyed was how Pigliucci moves beyond Popper-ian "experiemntal falsifiabilty" into a more nuanced, updated view of what contemporary philosophers of science tell us what it really means to be "scientific." Science means close observation, and adherence to the peer review process to even out our biases. It also means using and careful reasoning, both inductive and deductive. Ultimately, being truly scientific means realizing that our current theory is just a temporary understanding that further study will, likely, sweep away. The book finishes with a wonderful meditation:"How can you tell an expert from a charlatan?" Healthy food for the grey cells. Of course, Pigliucci, or any relatively competent thinker can, with relative ease, debunk things coming from the Cato Institute. But what about us? Regular people. You know; "John Q. Public?" He looks at 1) The quality of the evidence provided. 2) The reputation of an "expert" among their peers. 3) The expert's biases. Overall, a great book on skeptical thinking. Instead of an easy debunking of straw-men like Depak Chopra and ESP experts, his focus is on the philosophy of how science works in the real world. Indeed, it looks at science's role as perhaps the only surefire way to overcome our frail human biases when uncovering the truth about things the way they are--and not, for good or ill, the way we want them to be. It really isn't all about debunking bad science, despite the title. Instead, it goes into a variety of topics related to science in society, and as I said, his discussion of the topics is very thoughtful and not antagonistic. While I don't agree with everything he says, I do think he handled the subject matter quite masterfully. Great Book - aweful narration. This is a wonderful book - very timely. Good coverage of all the relevant areas except I think he went a bit too easy on Dr. Deepak Chopra and his quantum nonsense - I was expecting a real smack-down! However, the reading was terrible - so many words, especially names were mispronounce - some very common ones found in science. Narrator mispronounces "eugenics," "heuristics," "cognito ergo sum" among them. Also how would anyone read "Apollo 11" as "Apollo Two" ? Ready! The reading pace is quite annoying - slowing down and then taking off and speeding up! I've purchased many Audio Book and this is the only one where the narration really ruin my enjoyment of the content. If you could sum up Nonsense on Stilts in three words, what would they be? What was one of the most memorable moments of Nonsense on Stilts? Have you listened to any of Jay Russell’s other performances before? How does this one compare? If you could give Nonsense on Stilts a new subtitle, what would it be? This is a must read for anyone interested in science or philosophy of science. Pigliucci covers the topic of science vs pseudoscience thoroughly, and brings up many excellent points about the importance of skepticism. Forget the title; this is a seriously good work. Where does Nonsense on Stilts rank among all the audiobooks you’ve listened to so far? This is by far the best book on the topic I have come across. Accessible but dense with meticulous research and history, it is a joy to listen to. It is a fascinating journey citing work of great scientists and philosophers. It is clear yet rich, and offers new, and well justified, perspectives on a few well known historical exemplars. What does Jay Russell bring to the story that you wouldn’t experience if you just read the book? The maintenance of enthusiasm, the tone and the pace all work nicely with the story. I'd change the title. I nearly did not buy this as the first part of the title sound a tad 'silly' to me. That would have been a big mistake. "How to Tell Science from Bunk" would do it. Thoroughly recommend. Particularly if you are keen to hear some history of science in the argument. Don't expect a 'how to' manual. Think of it as excellent background needed to inform your thinking which will in turn assist you in determining "How to Tell Science from Bunk". Would you listen to Nonsense on Stilts again? Why? No, I wouldn't. My mistake. This book is quite good if you like science thought, aca Richard Dawkins, S. Jay Gould and many others. But it doesn't taste as entertainment to be listen, perhaps I would have enjoyed much more if I could have underlined many passages. But then I am from the pre-Cloud generation, or the paper generation. 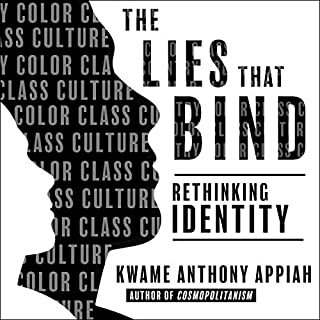 I enjoyed listening to this audio book. The narration is excellent! 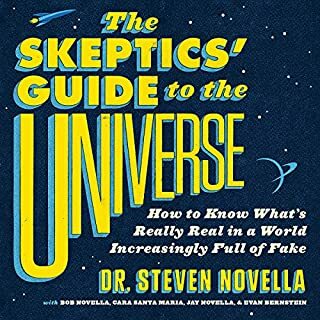 If you love science, you will love listening to this book. I highly recommend it. The author talks about things like philosophy and science, how come scientists can predict the outcome of an experiment but they can't predict the future, history - things you never knew about Galileo and other interesting figures, and much more behind the scenes of science. Pseudoscience just doesn't cut it, and you'll find out why. Funny. Factual. You'll love it. I was desperately interested in the content of this book but the narration made me give up. Flat, with an awful buzzing quality to it, and the accent made it worse. Hopefully others don't have the same problem with this fantastic book. 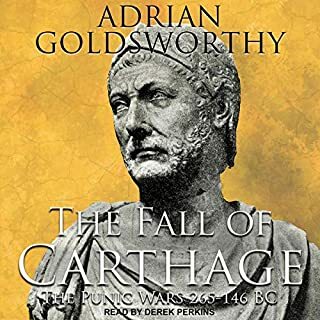 This is a book that I like, as the subject matter is right up my alley, but I must say I have stopped listening to it as the style of narration gets bothersome after a while. The narrator speaks with a 'staccato' voice that cannot possibly reflect his normal mode of speaking. A few minutes is fine, but after a while becomes tiring. It's a bit like listening to a robot and a bit as if the narrator thinks we won't be able to understand what he says if he speak normally instead of in this artificial and disjointed fashion he has invented. 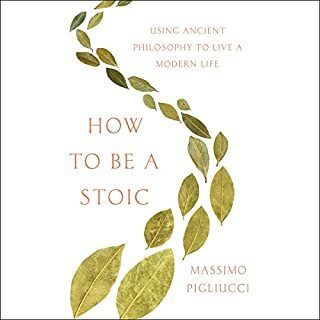 That nonwithstanding, if you don't mind this, then do definitely consider buying it as Pigliucci talks a lot of sense and deserves to be heard. I love this Ebook. It's clear, accessible, witty and a wealth of information. Thoroughly recommended! I wanted to like this a lot. I did in fact like this a lot, at least to start with. 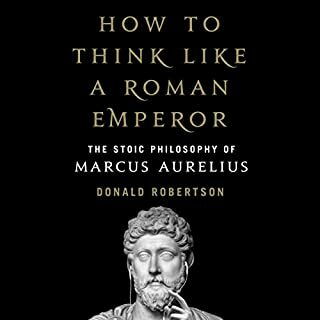 However the latter half of this book seemed to have an such an anti-religeous thread running through it that at times what appeared to be a personal vendetta against anyone who believed in a deity masked the validity of many of Pigliucci's arguments. A little more humility, and a little more respect for contrary, but valid, opinions would have done much to mitigate this.